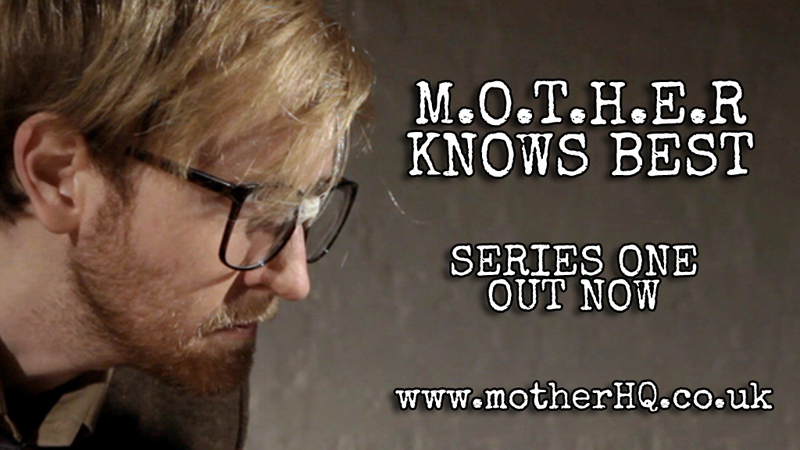 A ten part dystopian dark comedy web series from Chris Mayo & Scott Kingsnorth. Winner of the “Best Web Series” Award at The Hen and Chickens Unrestricted View Film Festival 2018. Starring Rachel Parris (The Mash Report, The IT Crowd, Austenatious) as the voice of M.O.T.H.E.R and Chris Mayo (Reed, BT and DAVE adverts, Electric Dreams) as The Interviewer plus guest stars Norman Lovett (Holly from Red Dwarf), Thom Tuck (Radio 4’s The Penny Dreadfuls), Amanda Reed (Channel 4’s Raised by Wolves, History Boys for The National Theatre), Holly Mallett (Notflix, Andy & The Oddsocks), Evelyn Lockley (Labyrinth, The Almedia. School For Scheming, Orange Tree Theatre), Megan Smith (Radio 4’s Sketchorama, Mixed Doubles), Aaron Phinehas Peters (Tribe, London Theatre Workshop), Jenny Walters (Parlour Song, Cockpit Theatre), Hannah Warman (Ethical Boyfriend, Funny or Die).